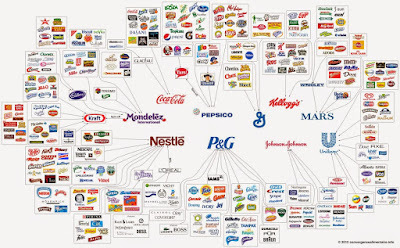 Today's proposed merger of KraftHeinz (a product itself of the recent mega-merger of Kraft and Heinz) with Unilever begs the question of truly how many companies really control most of the consumer brands we use? Shockingly few is the answer, and looking like even fewer in the future as jobs and workers are replaced with autonomous factories, warehouses, and shipping. The drive in recent deals has been to laser focus on logistics, remove any friction to seamless inventory control, and vertically integrate operations. After squeezing every nickel out of manufacturing efficiencies, the next logical step is to squeeze the workers out of their jobs. This has been the hallmark the M&A world for decades, and has become an art form amongst some of the biggest private equity firms. Much of the cost savings of vertically and horizontally integration comes from reducing headcount, traditionally the most expensive cost in a manufacturing operation. 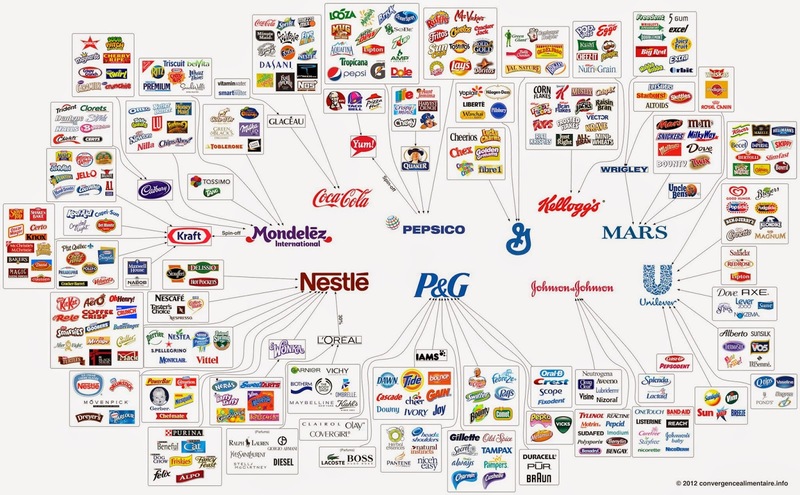 As the above graphic illustrates, only about a dozen global conglomerates control nearly every major food & beverage brand in the world; the economies of scale in terms of their ability to manufacture, market, and distribute are undoubtedly the purest definition of a monopoly. The big winners are the direct owners, the losers are phased out workers and ultimately consumers that become price-takers.